The cabbage soup diet is based on the principal that the more soup you eat, the more weight you should lose. 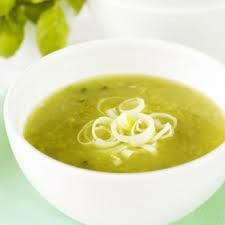 The soup, however, contains negligible calories, so do not only eat that…since it can lead to malnutrition. Not only does this diet help you lose weight, but it also cleans your system of impurities, and gives you a sense of well being. It flushes out your toxins. Avoid alcohol, bread and carbonated drinks. Before we get to the diet, here is the recipe for the cabbage soup itself. Place in a saucepan with the rest of ingredients, cover with water, season and simmer until vegetables are soft. You can drink this soup as often as you like! Drink your soup, and eat all the fruit you want to. Avoid bananas, though. You can also drink unsweetened teas, cranberry juice and water. Eat all the fresh, raw or cooked vegetables that you want. Try to eat leafy green vegetables, and avoid dry beans, peas, and corn. Eat as much as you want to, all the vegetables you can handle and all the cabbage soup you desire. At dinner, you can have a baked potato with butter. You can't have any fruit on this day, so just stick to the vegetables! Mix the first two days. Eat all the fruits and vegetables that you want and drink all the soup you need. But don’t eat the baked potato. By now you must be craving sweets, so this is your day! You can eat as many as eight bananas today, along with the soup. You can also have skimmed milk. On this day, you can have up to twenty ounces of beef, and up to six fresh tomatoes. Drink at least 6 to 8 glasses of water this day to wash the uric acid from your body. Eat your soup at least once this day. You may eat broiled or baked chicken instead of beef (but absolutely no skin-on chicken). If you prefer, you can substitute broiled fish for the beef on one of the beef days (but not both). Eat 2-3 beef steaks with salad or fresh vegetables (no baked potato) and soup at least once. Eat b rown rice, unsweetened fruit juices and vegetables on this day. Eat as much as you can of this. Be sure to eat your soup at least once this day. 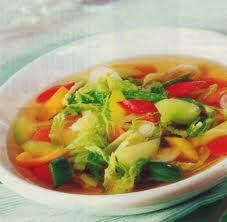 Hope this article provides you information about cabbage soup diet.